Your LinkedIn headline is the first thing people notice when they visit your profile (besides your profile picture). If it’s awesome, they’ll want to learn more about you. If it’s not, they’ll just visit another profile. This means it’s very important to make yours stand out. 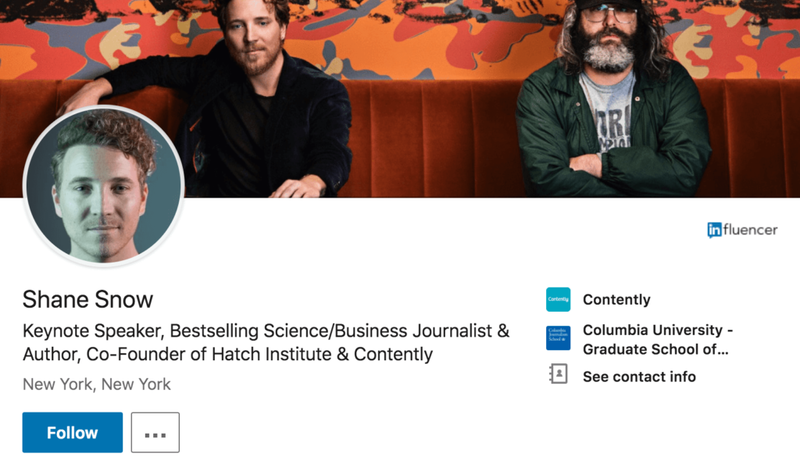 Instead of giving you a bunch of one-size-fits-all tips, we’ve put together a list of the best LinkedIn headline examples so you can learn what works (and why). 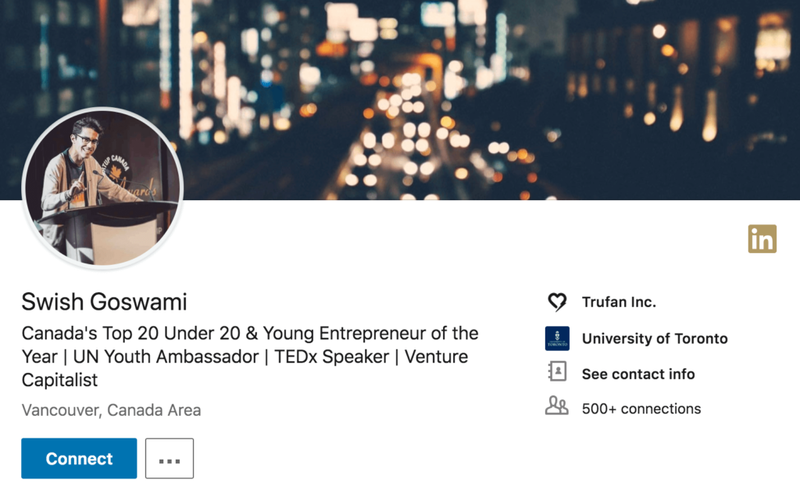 This will help you craft your own unique LinkedIn headline that’ll catch the eye of anyone who visits. Take what you like from these examples, merge them together with your own goals, and you’ll have an amazing LinkedIn headline in no time. This LinkedIn headline example is a good example of how to balance between something straightforward, and something more promotional. Showing that he’s an editor in chief is a good demonstration of a title that’s appealing (and associated with a big brand). 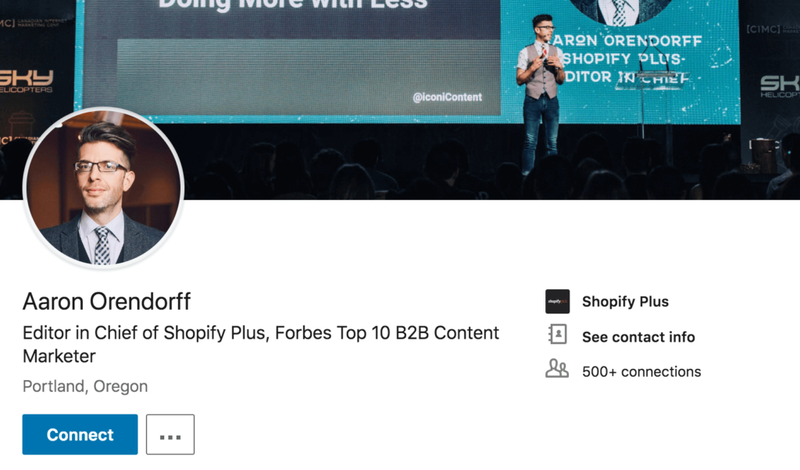 But for building up his own personal brand that isn’t associated with the company he works for, Aaron uses his LinkedIn headline well. This is a good example of how to slip in an award or accolade without it dominating your headline. 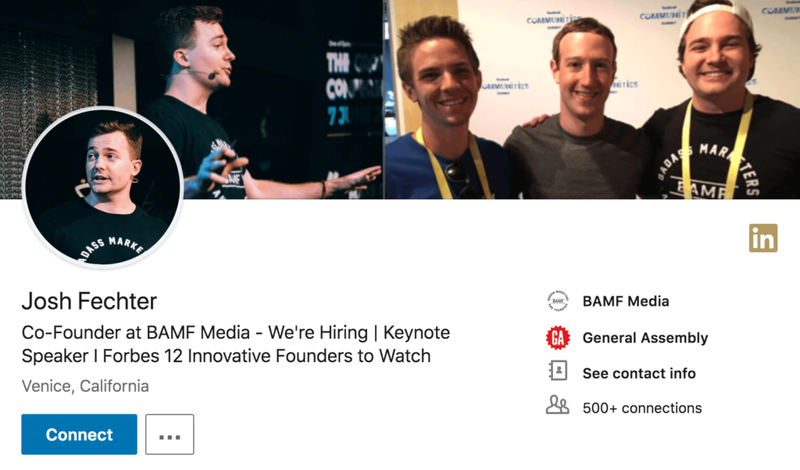 Some of you might not want to go all-out when it comes to including awards, so this would be a great LinkedIn headline example to use as a template. The reason we like this headline example is because it highlights key accomplishments but then funnels down to more general descriptors. This gives the headline some flow and structure, while still drawing attention to the more impressive accomplishments Swish wants to share. You could do this with your own LinkedIn headline quite easily as well. Lead off with something impressive to catch the eye, then follow up with some high level bits of information on what you do. This is a fantastic LinkedIn headline example that succeeds due to its simplicity. The formatting is clean, clear, and concise. You get a great idea about what Tara does without the need for a bunch of extra words. If you’re someone who likes to keep it brief, this is a perfect example for you to mimic with your LinkedIn headline. Another thing we like about this is that her use of slashes as separators mixes it up a bit. A lot of times you’ll either see a super-long sentence or a vertical bar instead. LinkedIn can be noisy, so even the smallest differences can add up if you want to stand out. We like this headline because it leads with something relevant and impressive right off the bat. Since Goldie is a “top voice” on the very network her profile is on, leading with that is a great idea. She also does a great job of mentioning another recognizable brand name (Forbes) in her LinkedIn headline as well. 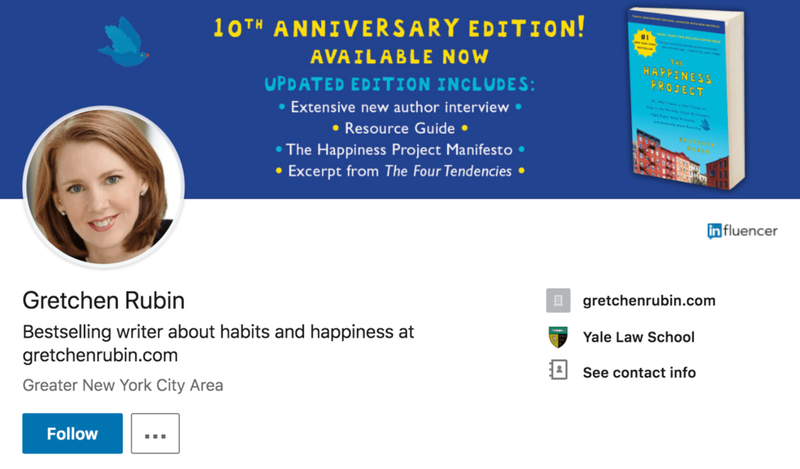 This provides more social proof that instantly makes people interested in connecting with her or seeing what she has to say. 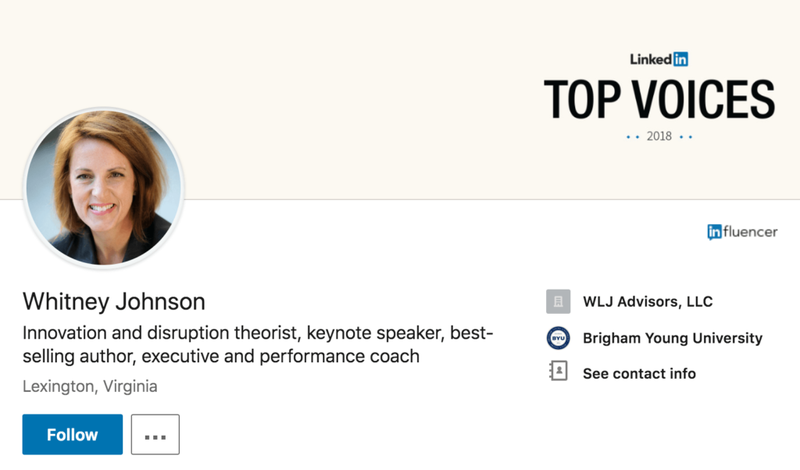 If you have similar accomplishments to lead off with, including them in your LinkedIn headline is usually a very smart move. Adam uses his headline to effectively promote his work without being too pushy about it. In this LinkedIn headline example you can see that he opens with his traditional day job. After that he jumps into sharing his work. 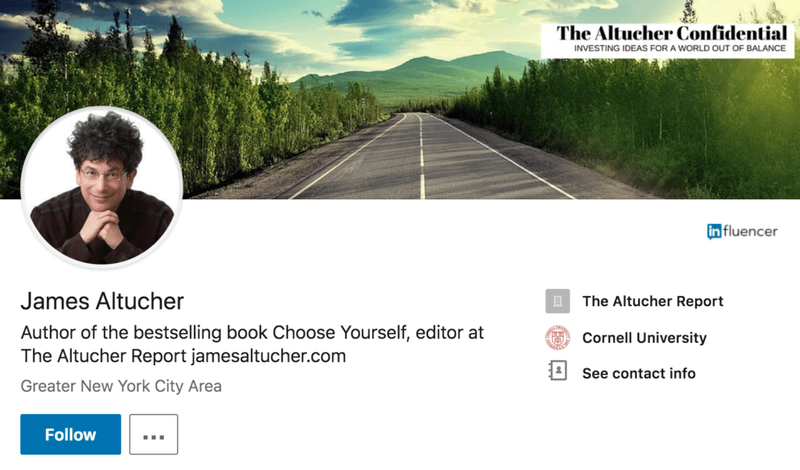 You quickly use this headline to find out what books he’s written (he includes them in his cover image too) even if you knew nothing about Adam before finding his profile. After that he drops in a mention of his podcast before ending with a non call to action achievement. Sandwiching his calls to action between general occupational titles is a good way of striking the balance between promoting your work without going overboard. 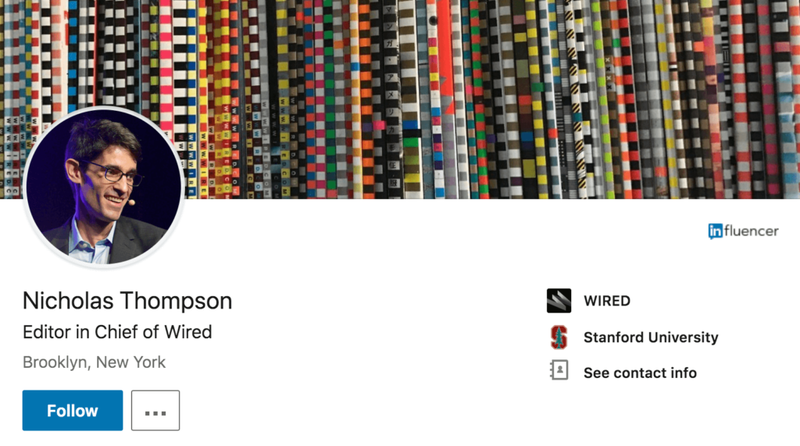 The one thing we really like about Josh’s LinkedIn headline is that he uses it to draw attention to the fact that his company is hiring. 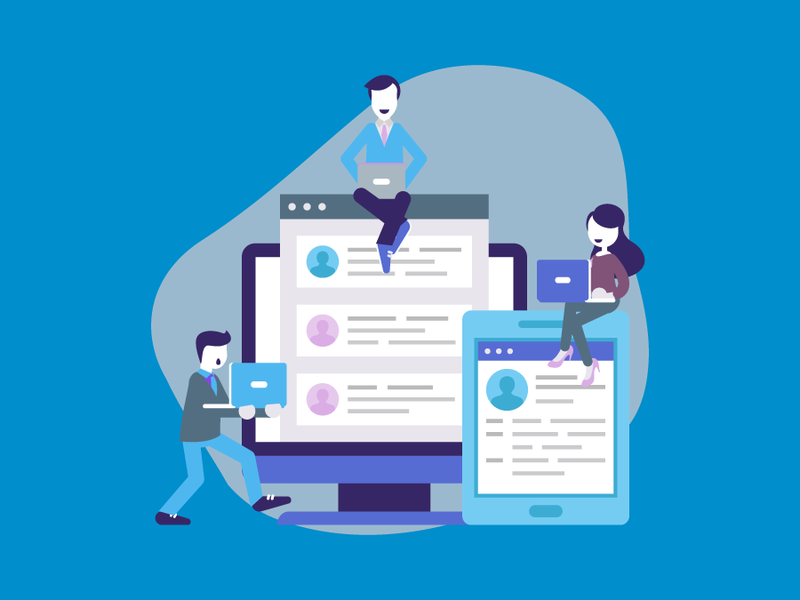 There’s likely one main thing that you would like your visitors to take action on, and your headline is a great place to do it. If you’re hiring at your company and you want more people to apply, throw it in your headline. Find your main call to action that matters most to you and include it. As you can see with this headline example, that’s the only call to action that Josh includes. Everything else is more of a general occupation or accolade headline strategy. This makes his hiring announcement stand out. Keeping the description of yourself concise is something that many people struggle with. Shane isn’t one of them. In just a handful of words you get a great idea of what he’s done, without a lot of the extra fluff. Keynote speaker, journalist and author, founder. Boom. Everything you need to know is delivered in a clean and easy to read manner that allows you to jump right into the rest of his profile. 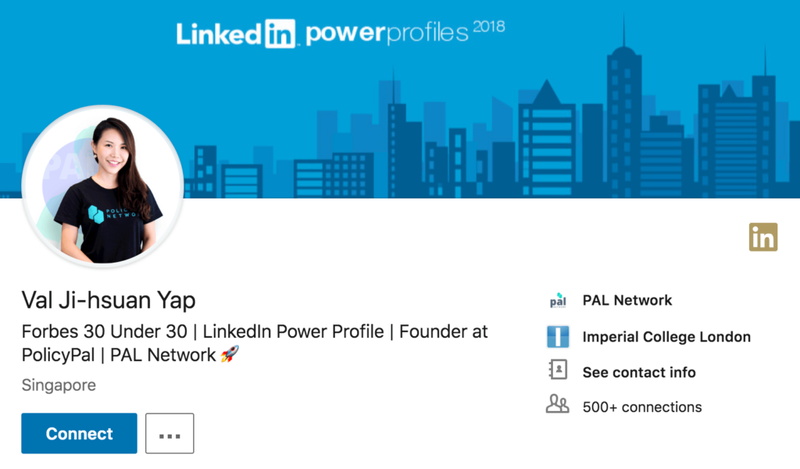 This could be one of our favorite LinkedIn headline examples because it steers clear of a lot of buzzwordy, promotional speak. Use this example as inspiration for trying to keep your headline neat and tidy. Your visitors will thank you for it. We included this LinkedIn headline example purely to make a point. You don’t have to get fancy with your headline if you don’t want to. Sure, your headline can do a great job of helping your brand and promote things you care about. Plenty of the examples we’ve included do exactly that. But that may not the the reason you’re on LinkedIn. If you’re on the network for general career and networking purposes, simple and short might be the way to go. This can work especially well if you’re like Nicholas and your main gig has some name recognition. That might be all you really need. 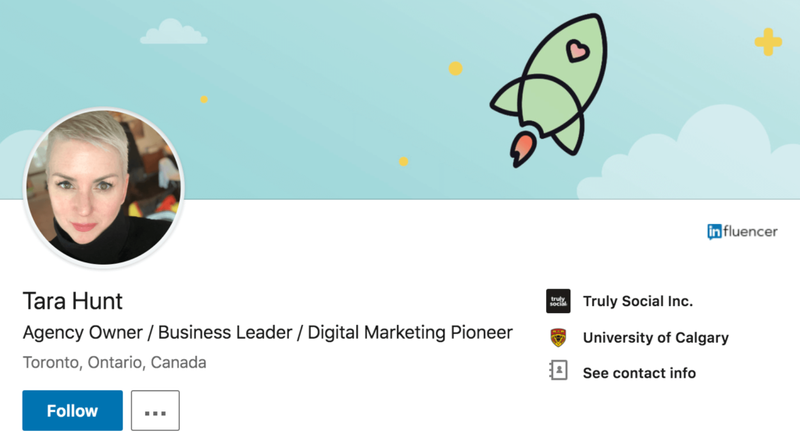 When using your LinkedIn headline to its full advantage (by including a call to action), you want to make things as easy as possible for your visitors. Gretchen does this wonderfully with her headline. In very few words she say what she is and where you can go to find out more about her work. A lot of people include a call to action in their LinkedIn headline, but by dropping the URL of your actual website in you can reduce friction. We bet that Gretchen gets a decent number of visitors to her website due to her headline. If you don’t have enough space, this might not be the strategy for you. However if you keep things brief (like the Nicholas Thomas example) this could be something to try. This headline example puts into practice various winning strategies that we’ve highlighted in other examples. There’s a nice mix of showing off accolades while still being able to highlight his website URL as well as his book title. This example does a job of getting new visitors up to speed on what James is up to without getting too overwhelming. You’ll see some LinkedIn headlines that end up cramming in too much. When this happens, you lose the reader and they will move on to something else. People are skimmers these days, and that applies to headlines as well. Keep things concise like James and you’ll be able to combat this. Laszlo has a great headline because each section of it has a purpose. The beginning clearly states what he’s up to right now. The second part shares more about what he did before this (and includes a rather impressive company). 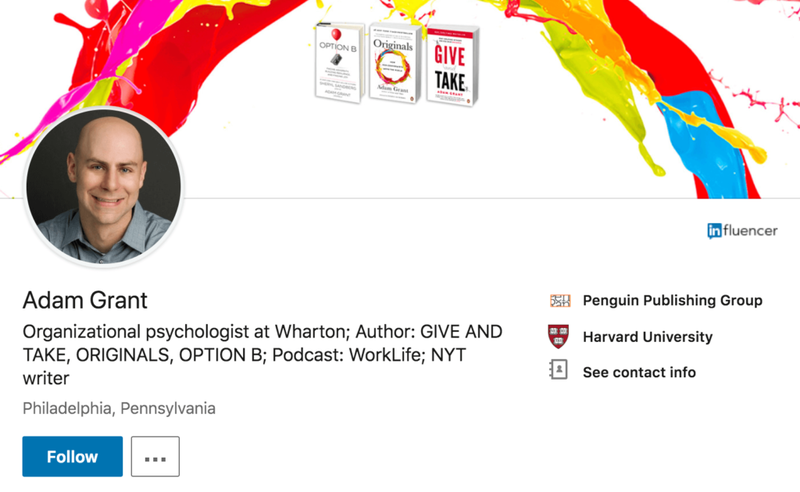 After that this LinkedIn headline example goes into a more traditional shout-out to his book in a way that’s not too pushy, but still encourages some action. At the end we like the personal touch of keeping it simple with “advisor” and “dad” in there. This differentiates Laszlo from the rest of the people who only put career-oriented information in their headline. That could be a good way to mix things up and stand out if you want to go in that direction. On the surface this LinkedIn headline might look pretty normal. It covers a lot of the same stuff at the beginning and end that other headlines do. However, what makes it great is right in the middle. WIthin his headline, Carsten includes a snippet of his personal mission statement. This is powerful for a number of reasons. First, it’s a great way of putting your own stamp on the headline you go with. As long as your mission statement is truly unique, it’s going to stand out. Secondly, it’s an effective pattern interrupt when it comes to the formula everyone else is using for their headlines. Most other people are trumpeting accolades or current roles. This is all fine and dandy, but sometimes a personal touch like what Carsten did can really set you apart. If you’ve already figured out your personal mission statement, give this a shot! We like Whitney’s headline because it’s all about the important stuff. Instead of getting hung up on a bunch of company job titles, Whitney sticks to descriptions that do a fantastic job of getting a new visitor up to speed. 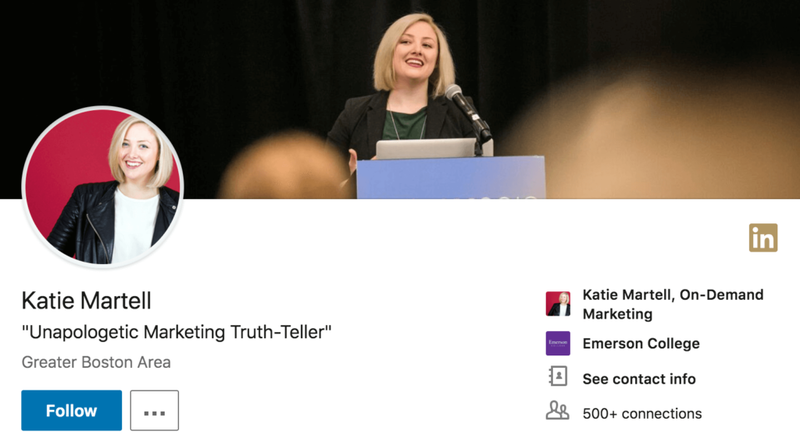 Even if you had never heard of Whitney before visiting her LinkedIn profile, you would finish reading her headline with strong understanding of what she does. That’s extremely useful, and it’s something you want to accomplish with your LinkedIn headlines as well. 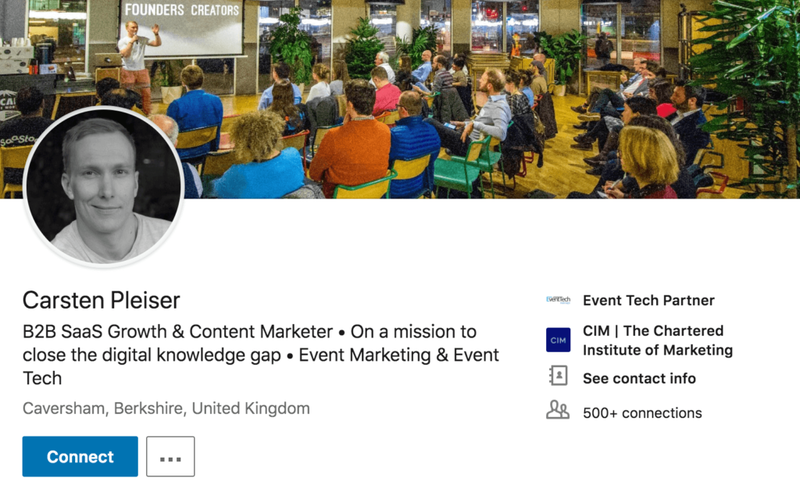 The formatting of this LinkedIn headline example is what makes it stand out so much for us. Everything is broken up into clean, bite-sized sections that are all roughly the same size. This makes it very easy to read since the eye can easily identify each part of the headline. We also like how Val throws in a little emoji at the end to illustrate what she does but also make it stand out. Sometimes using emojis can backfire but in this situation we really like how she uses it. It makes her headline stand out without sacrificing professionalism. The simplicity of this headline is something we really like. You might find that it’s a little too minimal for your tastes, but we think there’s a lesson to be learned here. Katie has chosen a catchphrase that she likes, and wants to spread. She’s using her LinkedIn headline as a channel to do this (we checked her Twitter and she uses it there too). If you want to create a little intrigue with your headline you can use this as inspiration. One thing it will do is help set you apart from a lot of the other LinkedIn users out there. If differentiation is your primary goal, this could be a headline style to go with. You’ve now seen some of the best LinkedIn headline examples that you can use as inspiration. We covered a wide variety of formats and strategies you can use for your own headline. This means there are a number of different directions you can go. There’s no right or wrong headline formula to follow. Each of the examples above accomplish different things for different people. It should be no different for you. If you have a blog you want to bring attention to, a mention in your headline will go a long way. 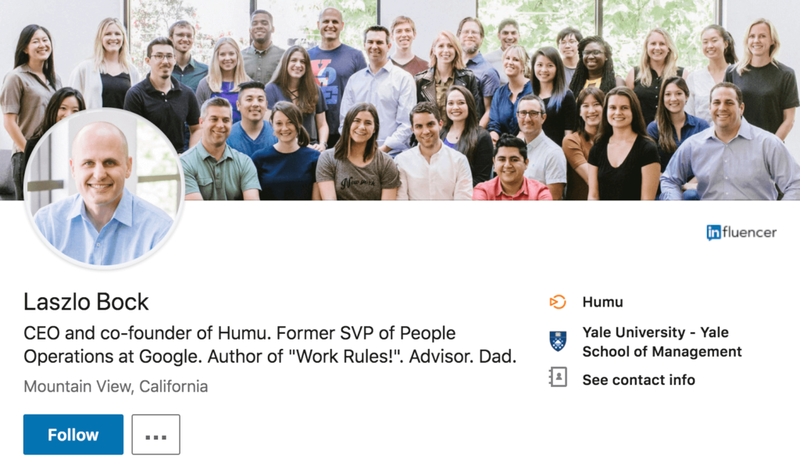 If you have more a traditional career persona you want to convey, following the examples that stick to job titles will probably be a better idea for you. It’s all about finding the best fit. 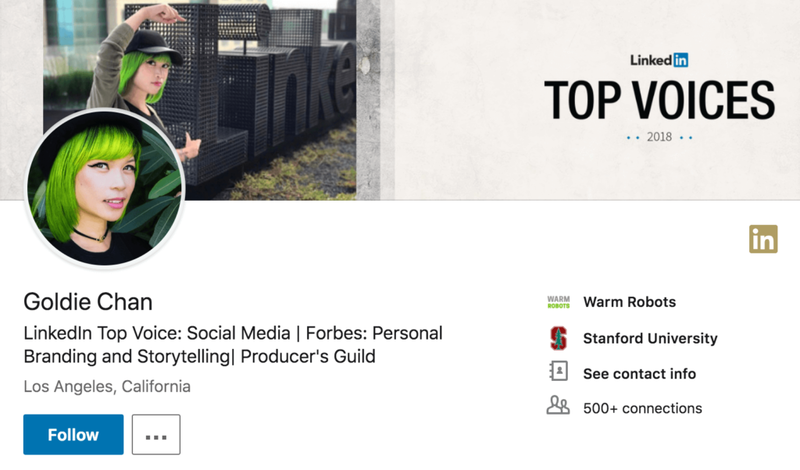 If you already have a headline for LinkedIn that you’re using, take the lessons learned here and give it another look. You’ll likely find some possibilities for improvement.